Hello lovely follwers, long time no post. I hope to be able to blog a little more now. I am not going to go into a long post about how I haven't blogged but instead jump straight in with a new postabout a product I have tried recently. 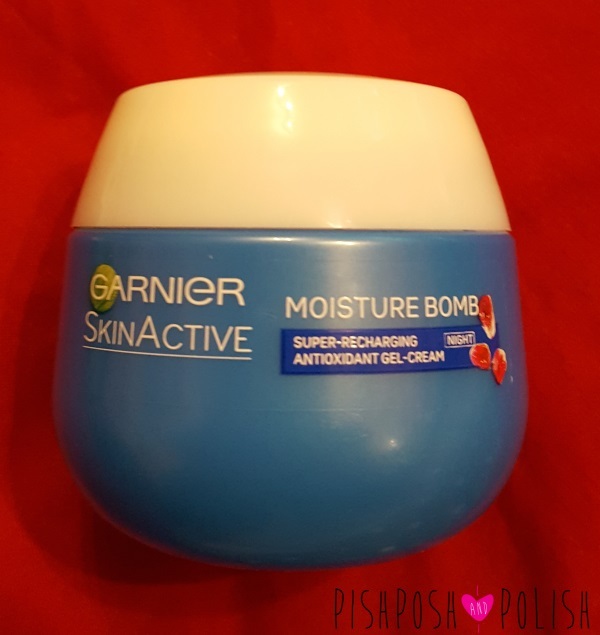 Garnier SkinActive Moisture Bomb Antioxident Gel Cream to give it it's full name is a gel based night cream. 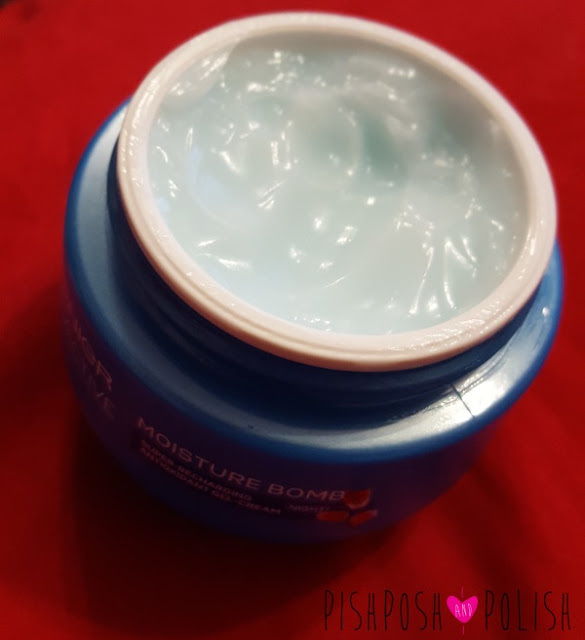 The Moisture Bomb range really appeals to me as it isn't a range designed just for dry skin but rather dehydrated skin. As someone who doesn't drink enough water in a day I think this is really helpful (although I really should drink more water anyway!). I have oily skin so I don't want a heavy product and the gel texture is much lighter than a traditional cream and sinks straight away into the skin without any stickyness. The texture reminds me alot of a serum and it is stange at first to use but I found myself really enjoying the cooling and refreshing feeling that a gel gibves rather than a cream. The screw tub contains 50ml of product which is a refreshing light blue in colour. I have found you only need a small amount of product at once as although it is quick to absorb into the skin it is easily spreadable first. I also love the scent of the product, it is somehow fresh and fruity at the same time. The scent doesn't linger long enough once applied to be an annoyance either. This cream contains Amla and Pomegranate extracts which could explain this scent. For me the only thing that lets it down is the packaging, it's not a product I want to display on my dressing table, the bright blue plastic post is garish. I think they could play the fruit angle more as well. All in all I love this product the lightweight cream works well for oily skin without being heavy but I am unsure if dry to very dry skintypes would find it as moistureing. Have you used this product? The sheet masks in this range keep calling to me!